Today we will learn about types of milling machine used in machining of metal work pieces. In my last post we have learn about milling machine and its main parts and we know that milling machine is one of the most versatile machine which can perform any machining operation on unsymmetrical work piece. It is mostly used in mold manufacturing. 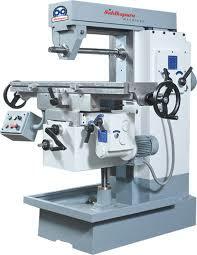 Due to its versatility, it is available milling machine available various types and sizes. These are described below. 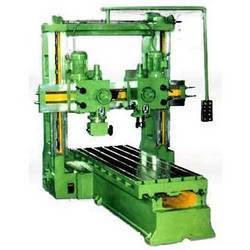 There are various milling machines are used in mechanical industries. These are described below. 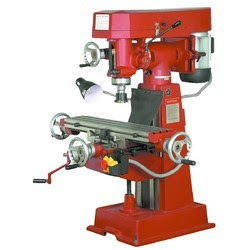 It is the very common milling machine type. In this machine a vertical column is attached to the bed which consist all gear drives which rotate the knee and saddle. A knee is situated on the base which can provide vertical motion to the work piece or which can move up and down. A saddle is attached to the upper section of the knee which can move in transverse direction. The table is placed over the which can hold the work piece by use of climbing bolts. In is one of the types of knee and column milling machine. The spindle if this machine is in vertical position. No arbor is required in this machine. The cutter tool has cylindrical shape and the cutting edges are situated at the circumference of the cylindrical face. As the name implies the spindle is situated horizontally. The spindle rotates horizontally. 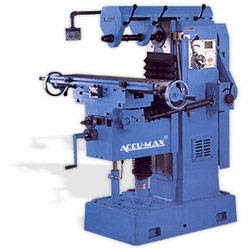 A arbor is attached to the machine which holds the cylindrical disk shape cutter which cuts the metal work piece. The universal milling machine is same as horizontal milling machine except there is a arrangement of swing up the table to 45 degree in either direction. In this milling machine the bed of the machine is fixed to the machine. There is no arrangement of knee and saddle which can move vertically and transversally. The worktable is direct situated at the fixed bed. The spindle of this machine is mountain on a movable spindle head. It can move in vertical and horizontal direction and perform the cutting operation. 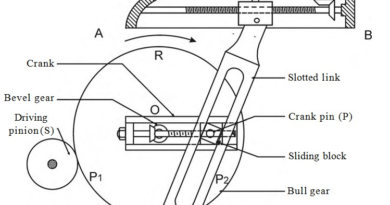 In the simplex machine spindle head or the spindle can travel only in one direction. Mostly it travels in vertical direction. In this machine the spindle can travel both in vertical and horizontal direction. In triplex machine spindle can move in all three direction along X Y and Z axis. Planner milling machine is mostly used for facing operation in mass production. These machine are similar to the bed type milling machine except it can mounted with various cutters and spindle heads to the machine. These cutters can perform the facing operations simultaneously. These machines are the modern milling machines which are developed to easy the milling operations according to the jobs. Tracer machine can perform all difficult die making job by synchronizing the tracing unit. It can develop any difficult shape. It is mostly used in automobile and aerospace industries. 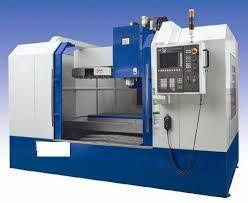 CNC is most versatile milling machine which is control by a computer. It is upgrade version of bed type milling machine in which the spindle can move in all three direction and the table can rotate 360 degree. These all movement is hydraulically controlled which is command by a computer. Any difficult geometry can make on it. A sketch of the work piece is loaded to the computer which is cut on work piece by the cutters automatically. Today we have discussed about main types of milling machine. If you have any query regarding this article, ask by commenting. If you like this post then don’t forget to share it on social networks with your friends. Subscribe our website for more informative articles. Thanks for reading it.